This wedding is seriously stunning! Our bride and groom chose the beautiful Preston Court for their venue. Preston Court is a conservation area with a variety of heritage buildings and a really pretty rural church. The gardens are beautiful with ornamental lakes and a magical moated island. It really is the place of fairy tales. 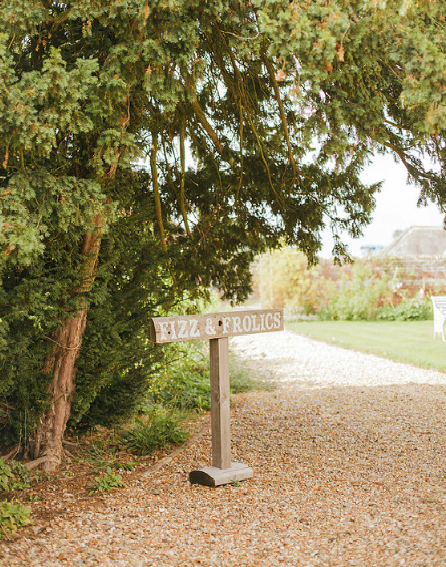 The ceremony was held outside in the idyllic grounds of the Manor House. 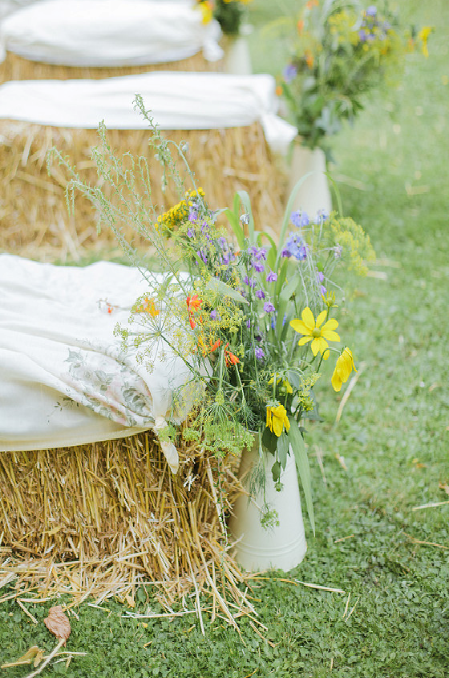 Katey arrived at the ceremony on her father’s arm via the prettiest little bridge in front of the house, where guest sat on straw bales covered with white cotton and styled with enamel jugs of bright yellow, orange and blue country flowers as their take on pew ends. 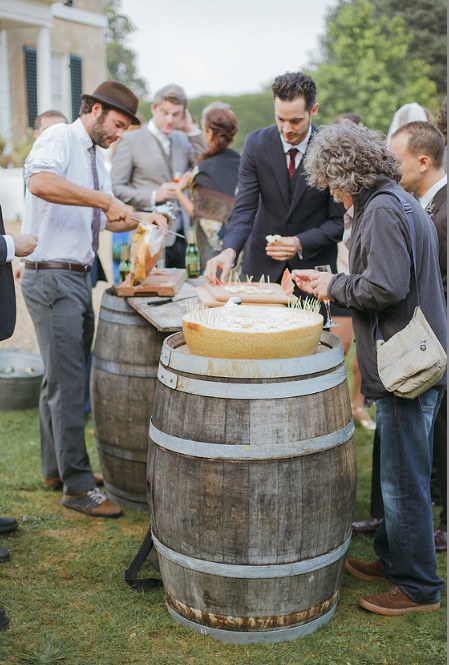 Katey and Freddy hired our Oak barrels as high bar tables to serve their delicious cheese fondue, an unusual and great alternative to canapés. Guests gathered around the barrels in the grounds of Preston Court, Champagne in one hand and sticks of melting cheese in the other! 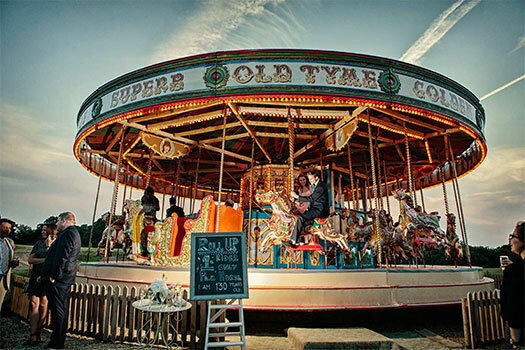 On the other side of the lawn, a traditional carousel helped add to the day’s magical feeling. 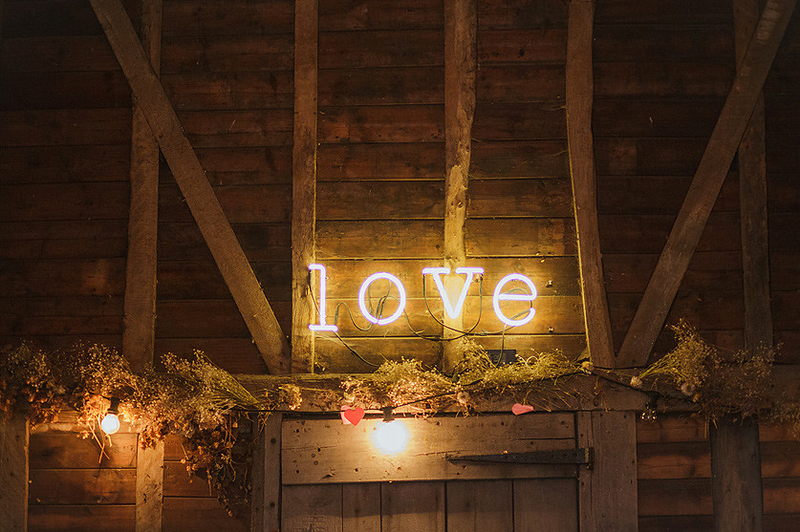 For the reception they moved into the fabulous Kentish Barn, where every last detail had been considered, creating a real visual treat. This simple but enchanting building was dressed for the occasion with lots of vintage green and clear bottles filled with more wild flowers, this time in white, pinks and purples set on long tables. 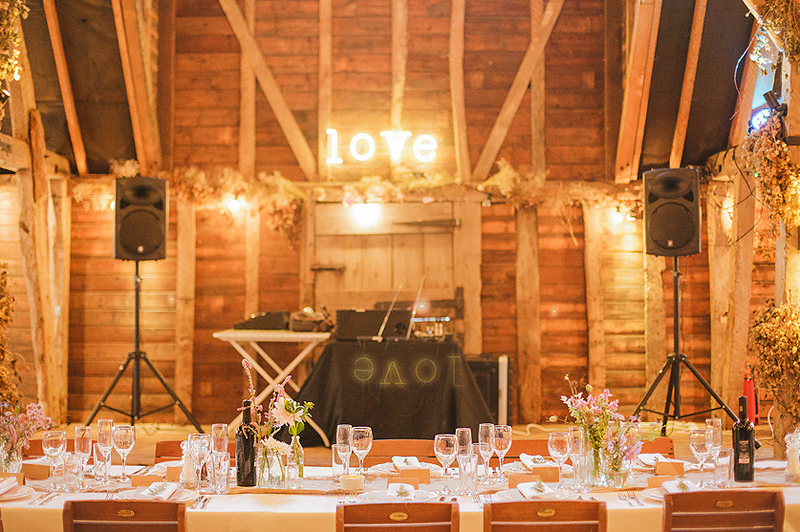 I arranged for the hire of the wooden chairs for the barn through our friends at Covered Occasions, near Marlborough, they really suited the relaxed venue. The finishing touch in here was the ‘love’ sign above the dance floor. The perfect touch of modern design amongst the wooden and vintage inspired flowers. The wedding was planned by the very talented Renee Williams, who I have previously mentioned in my post about ‘Blackboards and Birthdays’. Renee has such an amazing eye for detail and makes everything look beautiful without being too staged.